David’s son, Solomon, leads Israel into a period of extraordinary greatness. He leads the nation into a unified kingdom and completes David’s dream to build a temple, the place where Heaven and Earth meet. This period of dynasty should have lasted longer than it did, but the people fail to follow God, the nation falls into civil war, and ultimately heads towards destruction and exile at the hands of the Babylonians. The books of 1 & 2 Kings are a sad story of a fallen dynasty. In the baseball world, there is no dynasty like that of the New York Yankees. It’s a dynasty of Biblical proportions. From 1921-1964, the Yankees won 20 World Series champions and lost in the Series 9 other times. To put it another way, in 44 seasons, they were in the World Series 29 times and won 20 of them. There’s nothing comparable in professional sports. In 1964, team ownership sold the Yankees to CBS, the television network, and the franchise struggled for a decade. After a decade, CBS sold the team to an ownership group headed up by George Steinbrenner. In spite of a successful span from 1976-1981 when the Yankees won two World Series titles in four appearances, the Steinbrenner period represented something of a fallen dynasty. The team had 21 managers from 1973-1996, a number of whom had multiple tenures with the team. So, from 1964-1996, the Yankees success came nowhere close to original dynasty. The 21st manager was Joe Torre. Torre and a new generation of Yankees including Derek Jeter and Mariano Rivera led a new Yankee dynasty from 1996-2003 where the organization appeared in six World Series and won four world championships. Dynasties are meant to rise and fall. All of the dynasties we witness will fail to live up to the promises of the Kingdom of God and the one true King, Jesus Christ. The glimmers of hope at the end of 1 & 2 Kings points to Jesus in the same way Revelation points us to His second coming. May we keep our focus on that dynasty still to come! The criteria for hiring a baseball manager differs as much from team to team as the culture of the cities where the team resides. One team might have a long history of sustained success and choose conservatively to maintain that success. Another organization might need to shake things up in an effort to achieve new levels of success. 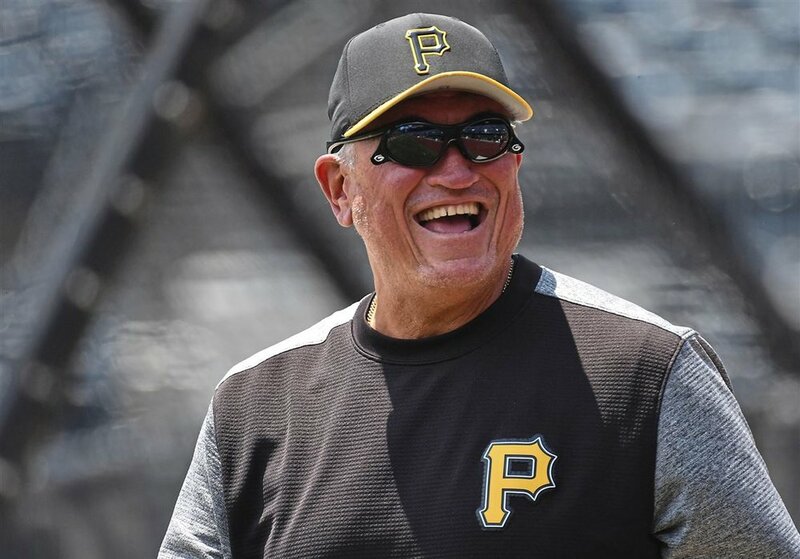 A team like the Pittsburgh Pirates hires a manager like Clint Hurdle because they were searching for a man of integrity who fit the organization’s mission, vision, and values. Being a culture fit can lead to long-term benefits for the team and the manager. Such clarity is important and often missing in professional athletics. Did they worship the God of Israel alone or other idols? Did they rid Israel of idolatry? Were they faithful to the covenant? Unfortunately for the two kingdoms, only 8 of the 40 kings met the criteria and this leads to their demise. With the importance of coaches in our society, it might be wise for us to consider the criteria of the Israeli kings for our modern coaches. After all, they do rule over their programs and people in an area that is of increasing importance. Do those leaders worship God alone or do they worship other idols? Do they rid their people of idolatry, such as the idolatry of their sport? And are the faithful to the New Testament covenant of Christ? I wonder if today’s coaches, including those who claim to be Christian coaches, would grade out at a higher percentage than the kings of the Northern and Southern kingdoms of Israel! Derek Dietrich hit a home run last week that was just too far gone. Darn thing landed in the Allegheny River! By the time Dietrich came up to hit again in the fourth inning, emotions on both sides were also too far gone. 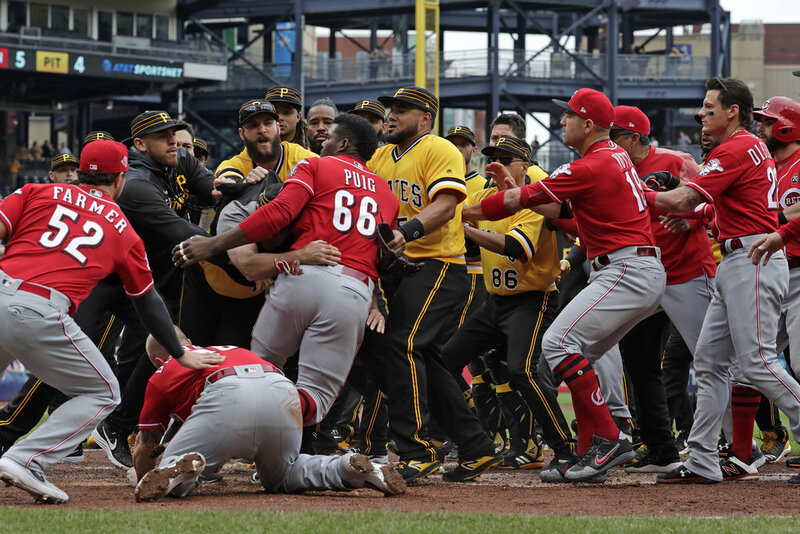 Pirates starter Chris Archer threw behind Dietrich to send a message about his prolonged pose at home plate during his river-bound home run. The benches cleared and a melee ensued. Sometimes things just get beyond us and end up being too far gone. The same was true for the Israelites by the time Josiah came around. Even after Elijah and then the double portion provided to Elisha, the nation is beyond the point of no return and headed towards exile. Josiah does all that he can to bring the people back under the Lord when the Book of the Law is found in 2 Kings 22. But the people were too far gone. In today’s society, it can be difficult to fight against feeling that everything is just too far gone. Our goal should be to live out the greatest commandment - Love God, Love Your Neighbor. It’s time to draw closer to people and away from polarization. It’s the only way I can see that we can prevent from becoming too far gone.